I've received a ton of questions about my home studio, so I thought I'd post a few pictures for you to see. Just go to my facebook fan page to see where all the "magic" happens...lol. There are still slots left for vintage day on February 18th. 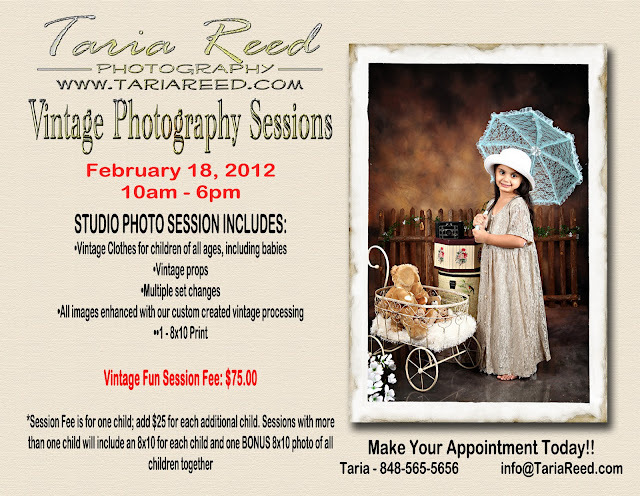 Send me an email or give me a call to schedule your time slots.